In his first public comments since the Parkland, Florida, high school shooting last week, Abbott called the status quo "unacceptable." 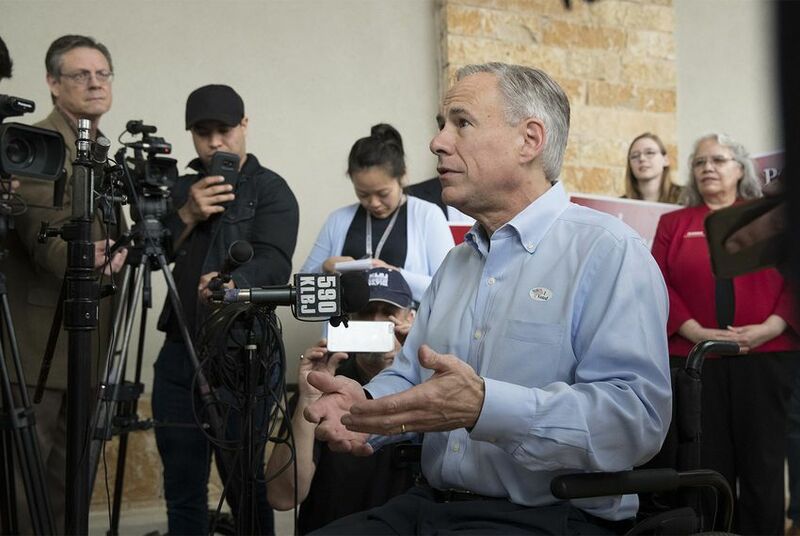 “It’s clear that the status quo is unacceptable, and everybody in every state must take action,” Abbott told reporters in Austin after voting early in the GOP primary. Abbott's comments came six days after the shooting at Marjory Stoneman Douglas High School in Parkland, Florida, which left 17 people dead. He said government agencies failed to submit information to the National Instant Criminal Background Check System, and that that was also a problem in the case of the Sutherland Springs church shooting last year. “We need to get government at all levels to both input data into the NICS system … as well as be responsible for not doing so,” Abbott said. Abbott said there is legislation pending in Congress that should be considered and passed, though he did not name a specific measure. Among the proposals is one by U.S. Sen. John Cornyn, R-Texas, that would increase government accountability for the background check system. The governor also said officials need to work together to address mental health issues. This weekend, Abbott is traveling to Washington, D.C., for a Republican Governors Association meeting, where he hopes to discuss this issue. “This is something that requires a national response, all 50 states working collaboratively together to find out the right solution,” he said. Republican state Rep. Sarah Davis on voting for Gov. Greg Abbott: "It'll be hard to do that."